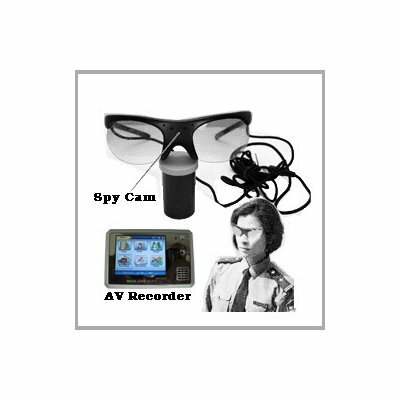 Successfully Added Sunglasses Camera with MP4 Player 256MB Flash to your Shopping Cart. The Worlds Smallest Color Pinhole Camera built-in this fashionable sunglasses. When wearing these sunglasses the hidden video camera lets you record exactly what you are looking at. Connect it directly with your MP4 player to hidden recording so you will not miss any action. It is also great as a surveillance camera, a toy for hobby enthusiasts, as body worn solutions and so on. Please note that this product has no audio recording..